We spotted it on the AdWords Editor on the 1st of May. Now, the In-Market Audience Feature can be accessed for Search purposes. This is a valuable opportunity for Advertisers to connect with consumers at the critical moment of a decision to purchase. In 2017, Google presented their AdWords Product Roadmap detailing plans for innovations and BETAs to make targeting more granular and thus, more effective. Google’s In-Market Audience feature for Search is just one of these advancements. In-market audience comprises potential customers that are actively searching on the Google Display Network for products and/or services that are like products and services you provide. This audience shows potential purchasing power by browsing multiple websites across the internet. Google classifies the in-market audience into categories that are related to its interests. For example, Autos & Vehicles, Baby & Children’s Products, Consumer Electronics etc. This is then used to determine a purchaser’s intent. In this manner, Google can classify users, targeting those most interested in an advertiser’s offering. This allows advertisers to expand their reach in new ways to specifically include people engaged in comparison shopping and actively researching with intent to buy. Instead of reaching only the “hand raisers” (people who have expressed interest in certain categories), advertisers will be reaching “signallers” (people who are giving off signals that they are truly ready to buy). In addition, reaching consumers further along down the conversion funnel should intuitively mean more conversions and better ROI. When starting a new campaign, an advertiser will need to configure their targeting settings to specify where they want to appear and to whom. Targeting includes placement (topic, context etc.) and audience targeting. 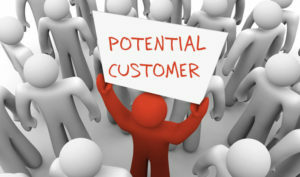 Your In-market audience forms part of audience targeting. Google classifies users as in-market based on their activities across the Google Display Network; a classification which is based on clicks on certain ads, purchases and other interactive activities in websites. Actions give Google an indication as to what consumer’s interests are and what interest category they would belong to. Let’s say a retail online store is selling fitness apparel and looking for consumers who are ready to make a purchase. Their distinct objective is to promote a fashionable yet functional range of tracker accessories. Google will compile an audience comprised of users who search and visit performance gear websites, engage with ads which promote health technology, and actively compare prices or reviews on associated gadgets. Based on previous conversions and interest shown, an algorithm is executed, and the likelihood of a purchase being made, predicted. The consumers identified, would be included in the in-market audience list as potential buyers in a Fitness Apparel/ Technology category; possibly a sub-category of Apparel and Accessories. In-market audience is very useful for campaigns that have clearly defined sales objectives. It helps advertisers to reach “window shoppers” with intent to buy – consumers that are on the verge of making a purchasing decision. Using information on the behaviour of these consumers can help advertisers capture the interest of potential consumers that would convert. One of the best practises of using of an in-market audience is when it is used in Remarketing campaigns. If an advertiser targets a consumer that has already been on their website (Remarketing) and is showing online behaviour that expresses that he/she is ready to buy, a conversion is more likely. By routinely identifying an In-Market Audience for each campaign, the process of tracking consumers with purchasing potential and desire is simplified. Search would appear to be less geared toward flagging keywords and more focussed on behaviours. Google’s predefined Segmentation list is by no means exhaustive but as with most of their innovations, the learning is ongoing and the improvement self-evident. If You’re Not Advertising on Twitter, You should Be!